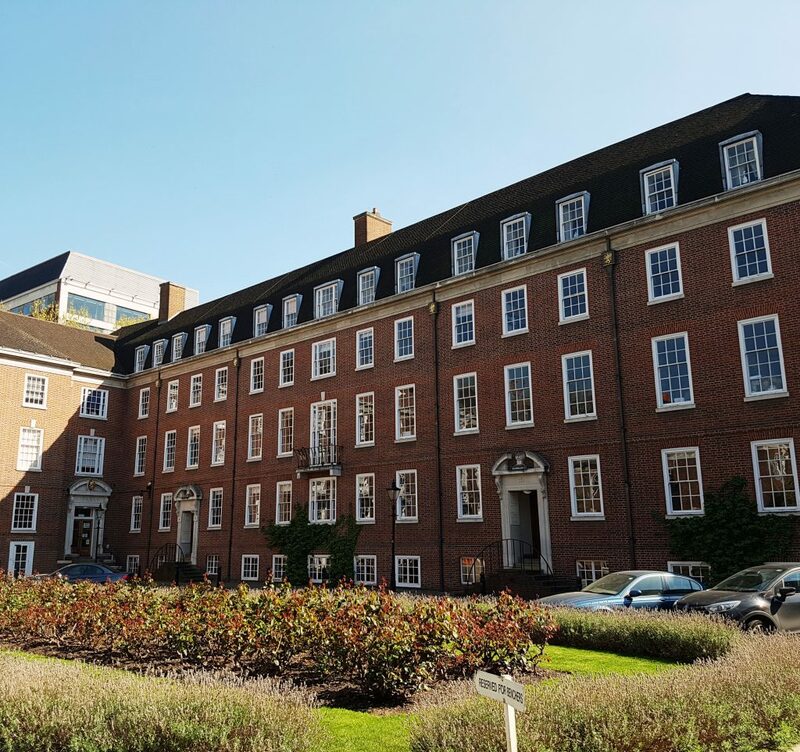 This is part two of my London walk of Inns of Courts. One thing I would recommend for any sort of city walk like this is to make sure you take a break half way through. A pit stop if you will. Being on your feet for a few hours, constantly stopping and starting whilst you take photos and look around can be exhausting. Having a sit down for a few minutes for lunch will definitely make a difference when it comes to the end of the walk. This helped to avoid my feet hurting later on. Why did I choose this walk? I am using a book ‘London’s Hidden Walks’ to discover more about London. 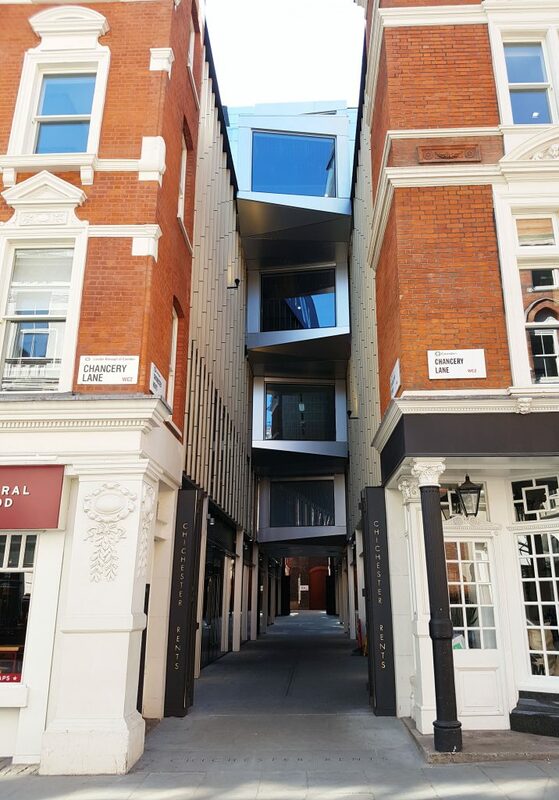 When I was looking through it for my next walk I wanted to avoid the west end areas of Fitzrovia & Bloomsbury and Soho for now and walk around an area I’m not so familiar with. Inns of Courts looked ideal because the walk included gardens and fields. The warm weather that weekend would make this a good choice. I’ll continue this walk along Chancery Lane. 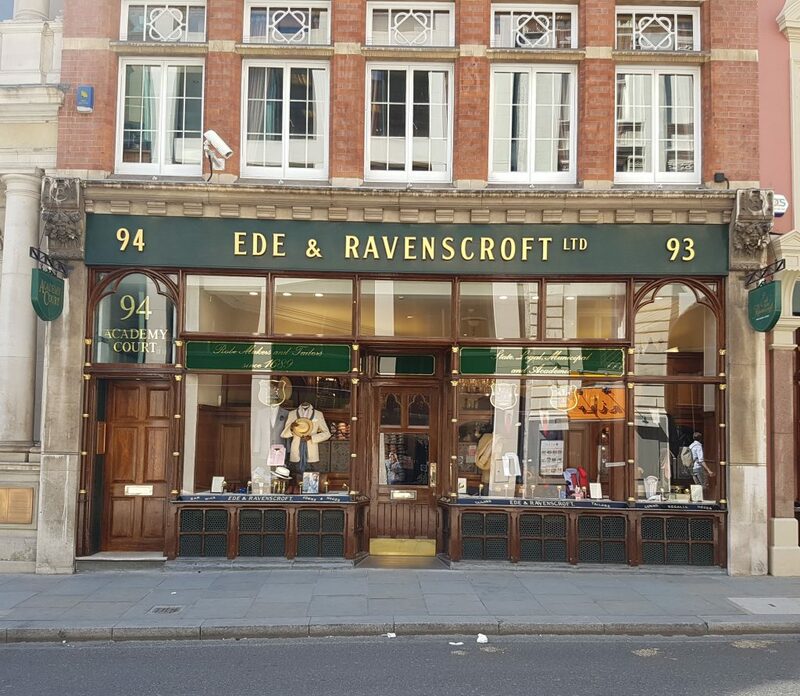 Ede & Ravenscroft is the oldest tailor in London. In business since 1689, it has been the traditional outfitter for barristers working at the Inns. Here prices for the wigs worn by barristers start from £500. Do you know what these wigs are made of? Since the 1830’s the current design uses horse hair but they were originally made out of human hair. I’ll definitely have a different perspective when I see barristers in wigs now. They are also the tailors for university graduation ceremonies (my friend mentioned this to me). 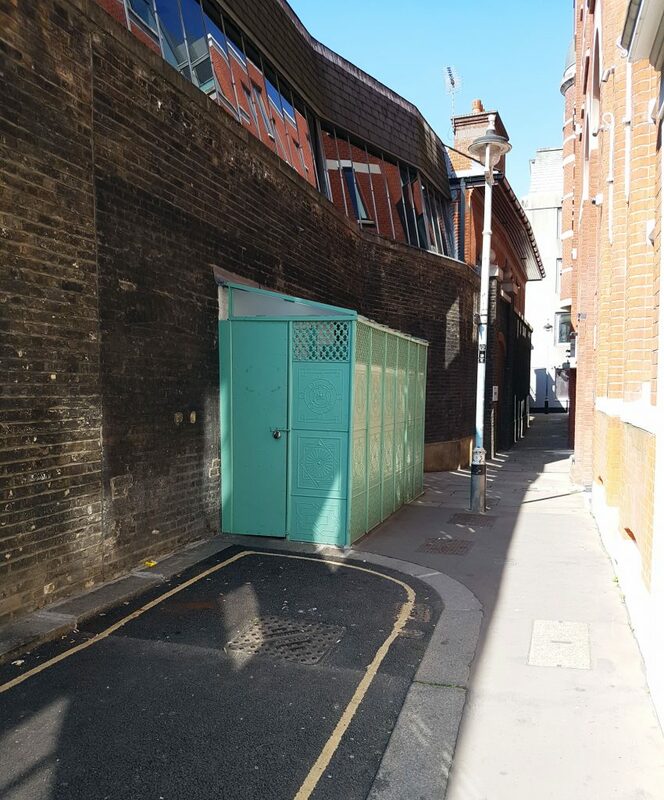 Just off Carey Street is a historical public toilet. The original attendant had a habit of keeping goldfish in the water tank. 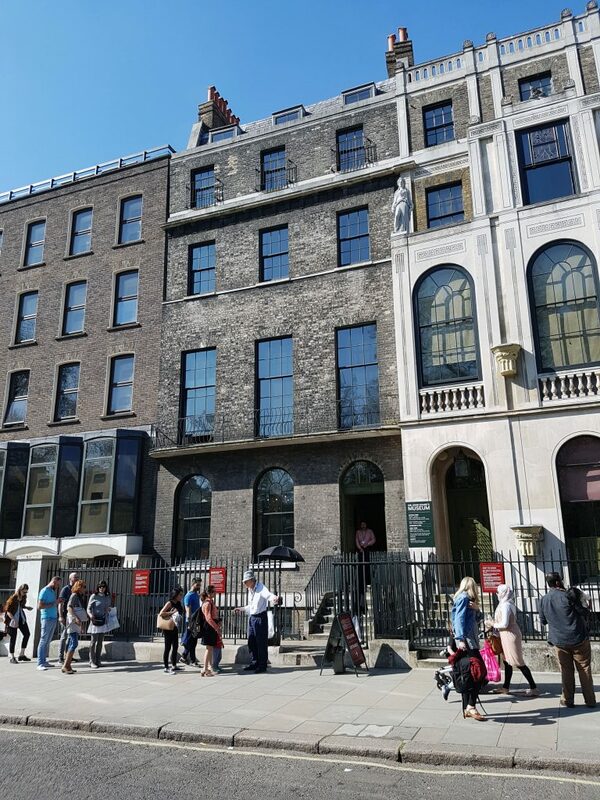 Walking west on Carey Street, you’ll pass the entrance to Lincoln’s Inn (third Inn on the walk). On the weekend, however, this is not open to the public, so I missed out. Next door though is the Seven Stars pub. It was founded over 400 years ago and is popular with lawyers letting their horse-hair wigs down. 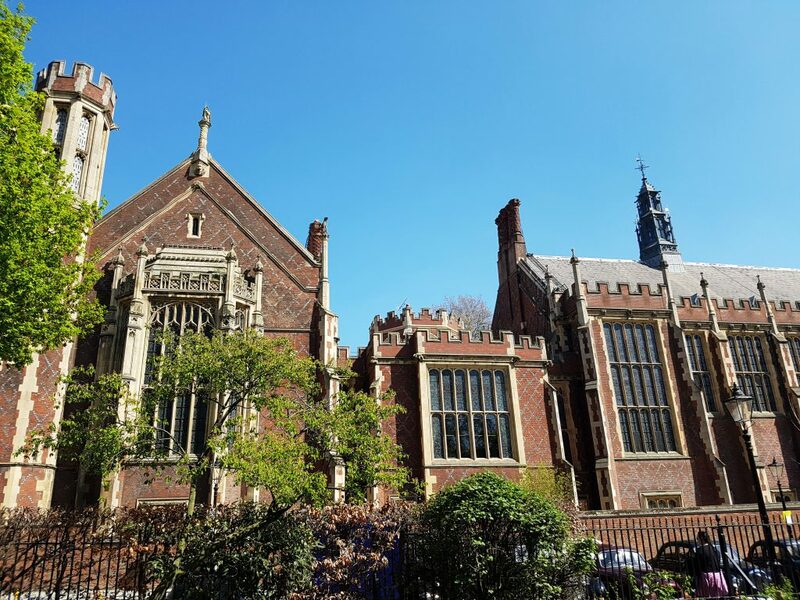 Not being able to continue the walk through Lincoln’s Inn I had to walk back around to Chancery Lane. 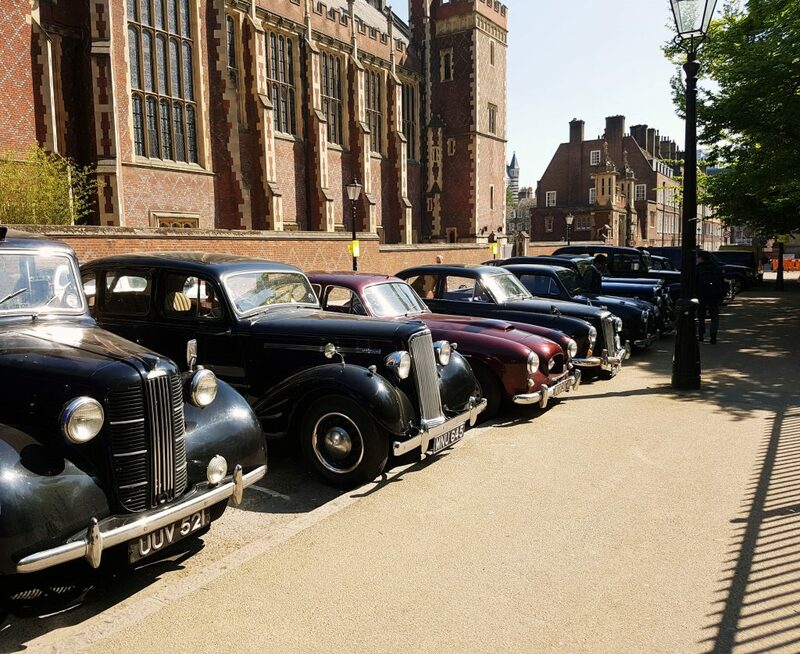 Before I did so I spotted these traditional cars all lined up, being guarded by a steward. Not something you see every day. 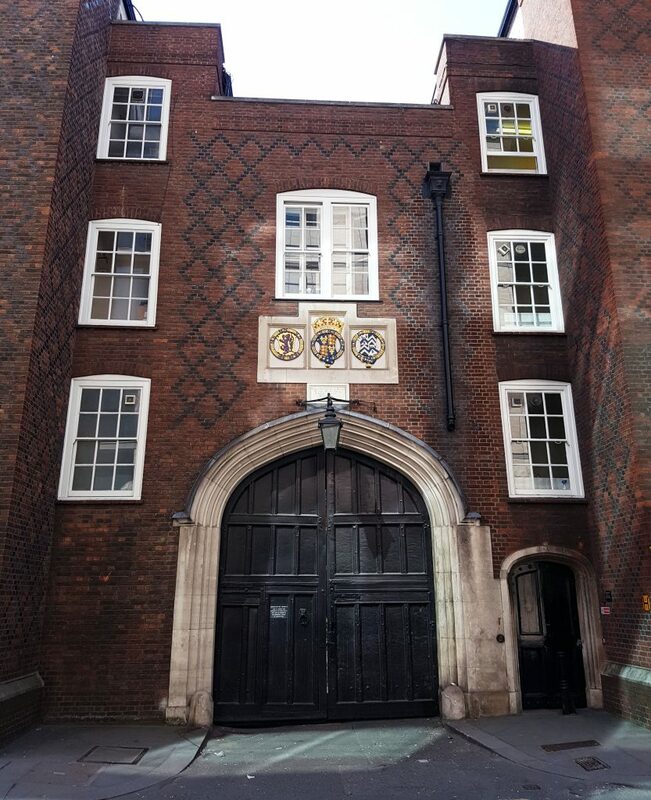 On Chancery Lane is the Gate House leading into Lincoln’s Inn. 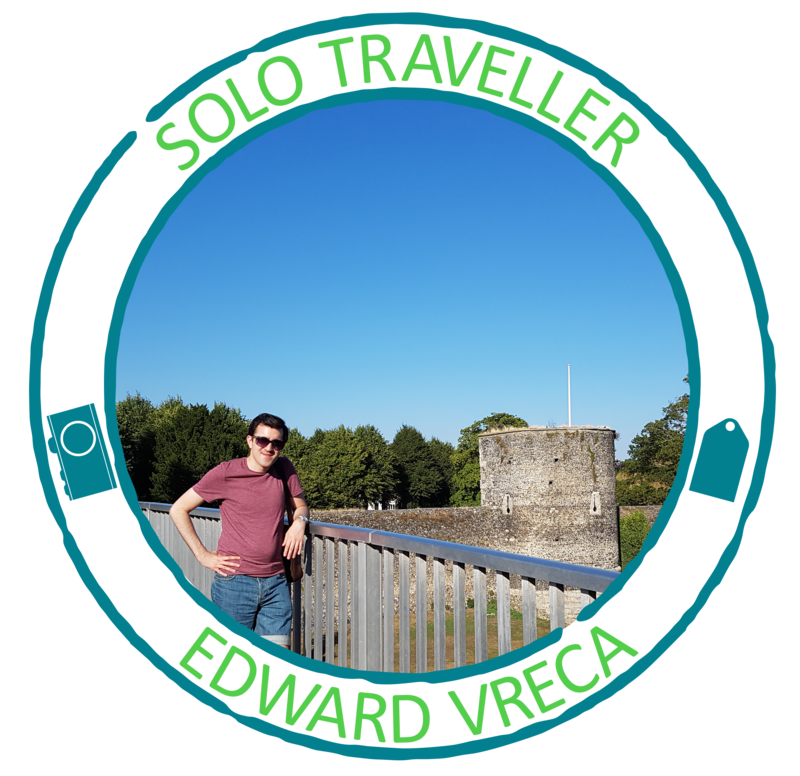 It was built at some point in 1520 and contains oak doors dated from 1564. Above the Gate House are heraldic arms of Henry de Lacy, Earl of Lincoln and Henry VIII. 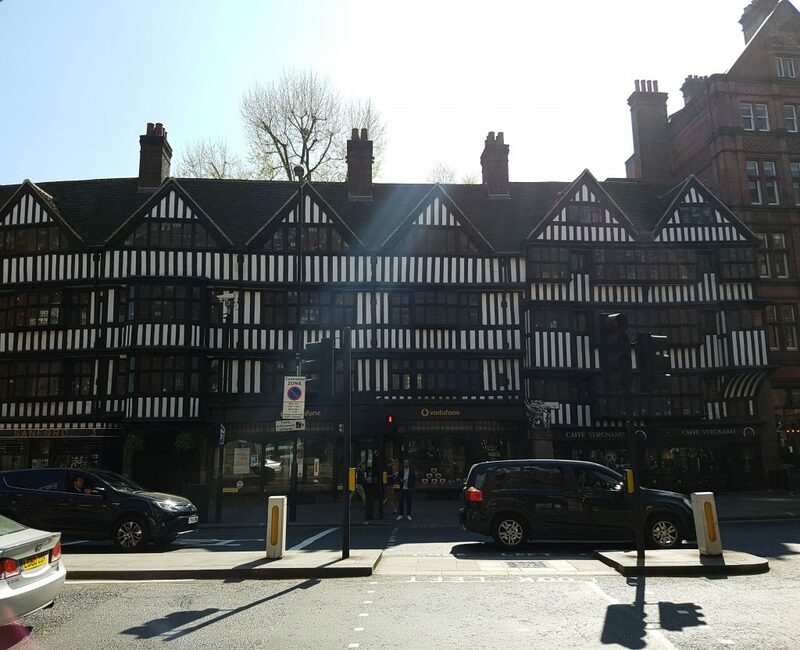 Along High Holborn around Chancery Lane tube station is Staple Inn. The building with timbered frontage is the only one to survive from the defunct Inn of Chancery. It dates from 1580 and is one of the oldest structures in London. It now houses the Institute of Actuaries. Walking from Chancery Lane towards Holborn you find a small passageway just before the Cittie of Yorke pub on the right. This leads into the South Square of Gray’s Inn. As I walked into it I thought that I was going to be stopped by someone saying, “you’re not allowed here”, but nope. There was literally no one around. Gray’s Inn is the final Inn of Court on the walk. 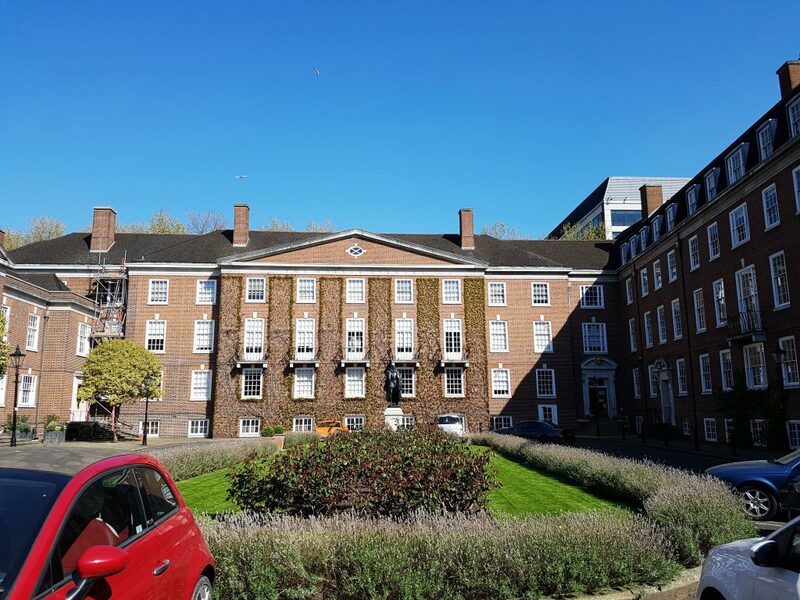 In South Square, there is a statue of the philosopher, statesman, scientist and member of Gray’s Inn, Sir Francis Bacon. A number 1 South Square, a teenage Charles Dickens worked as a law clerk in 1827 in the offices of Ellis & Blackmore. Once again I was amazed by how peaceful it was, especially being just off a very busy street. There was a woman sitting peacefully at the bench by the statue of Sir Francis Bacon. Walking north you’ll find the larger Gray’s Inn Square. The buildings look beautiful and so does the garden in the centre of the square. I tried to take a panoramic photo to view the square. As you can see the weather was utterly perfect. 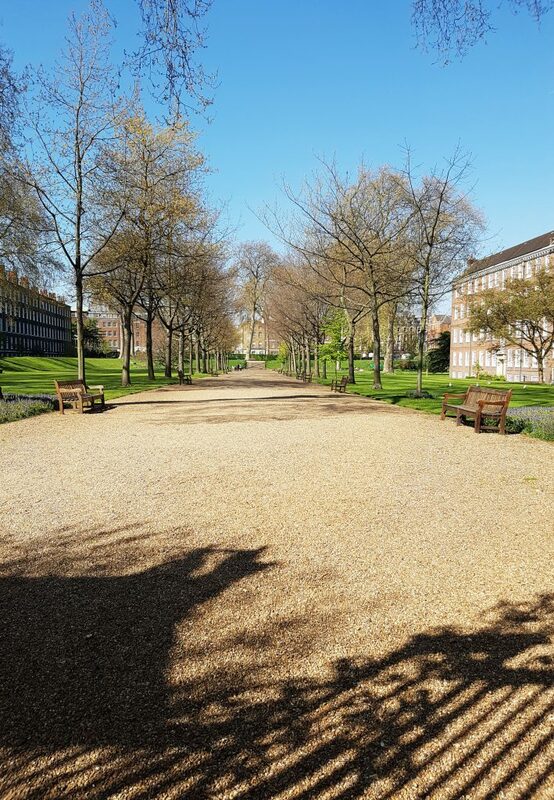 Walk a little further into Gray’s Inn and you’ll find the Gray’s Inn Gardens, also known as ‘The Walks’. The public can access The Walks during weekday lunchtimes. If I worked around that area I would definitely be hanging out there for lunch. However, I did spot a group of people in there. They must have been members of Gray’s Inn, at least I’d like to think so! I cheekily put my arm up over the fence to get another photo of the garden. Sort of came out okay! 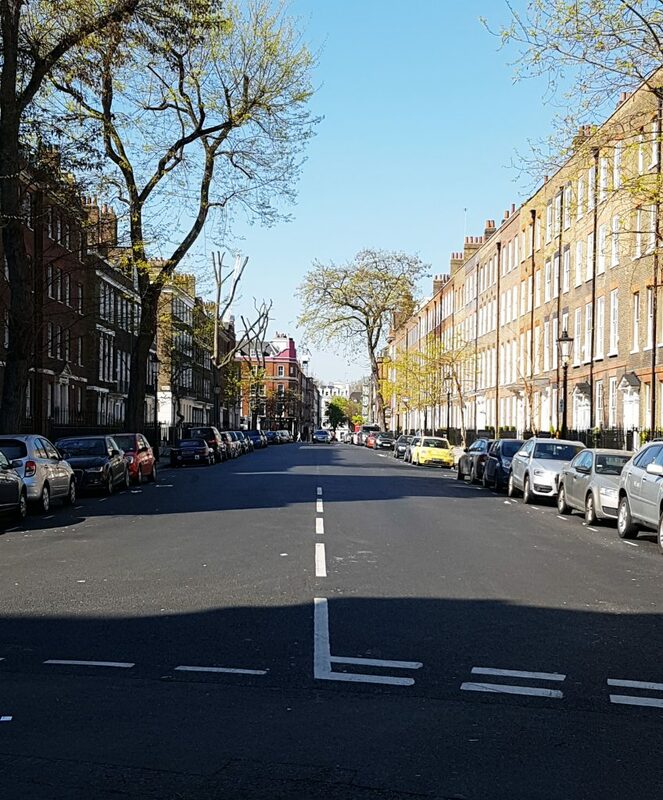 Due to restricted access on the weekends, you cannot exit the Gray’s Inn precinct north to Theobald’s Road. This meant I had to walk back to High Holborn the way I came in. Parallel to Gray’s Inn is Bedford Row with beautiful Georgian Houses. 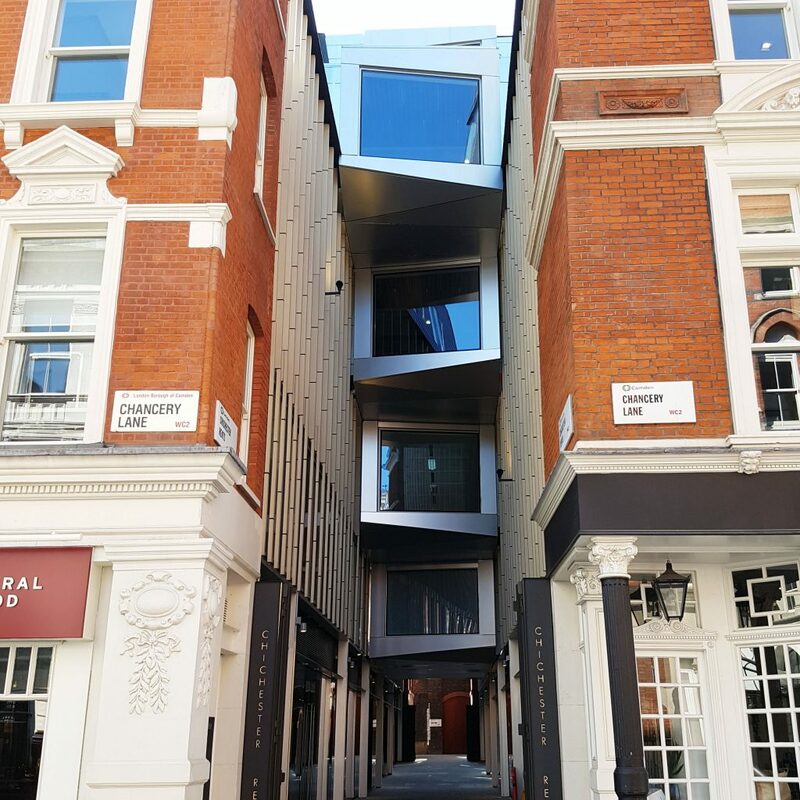 From Bedford Row, the walk took me to Lincoln Inn Fields, just at the back of Holborn. At no 66 is Farrer & Co solicitors. Based at Lincoln’s Inn Fields since 1790 their clients include the monarchy and much of England’s landed aristocracy. The only British Prime minister to be assassinated, Spence Perceval used to live at number 59/60. Sir John Soane was an architect whose work included the Bank of England and the Dulwich Picture Gallery. 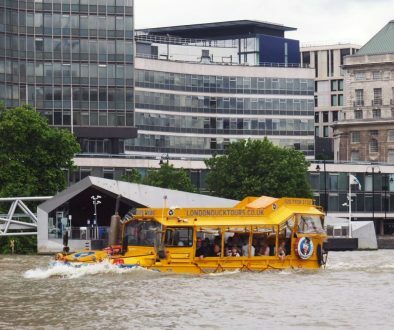 His collection of art and oddities makes this one of the best public museums in London. Admission is free however I did not visit because I still had the remaining of the walk to discover. Covering 12 acres this is London’s largest square. It is said to be the inspiration for Central Park in New York. 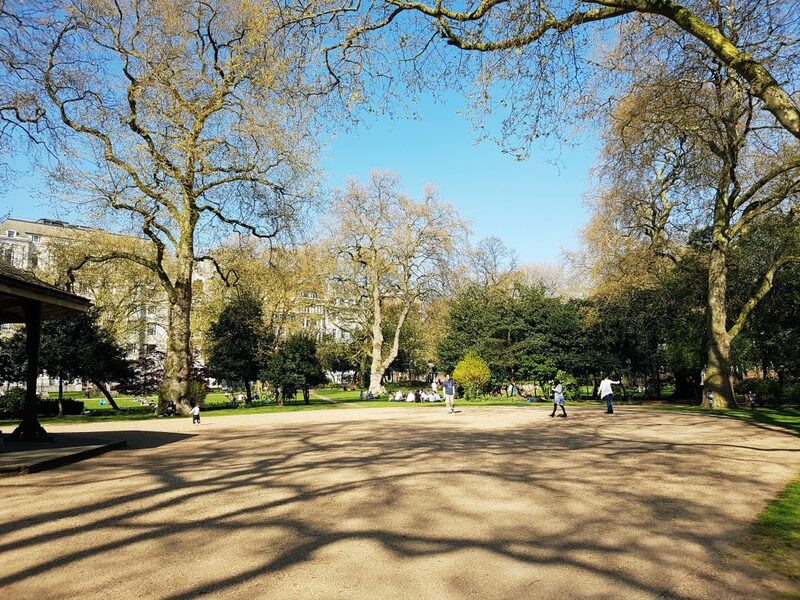 Lincoln’s Inn Fields is a beautiful and popular place. With the lovely weather many people were just chilling on the grass, some even with a BBQ. 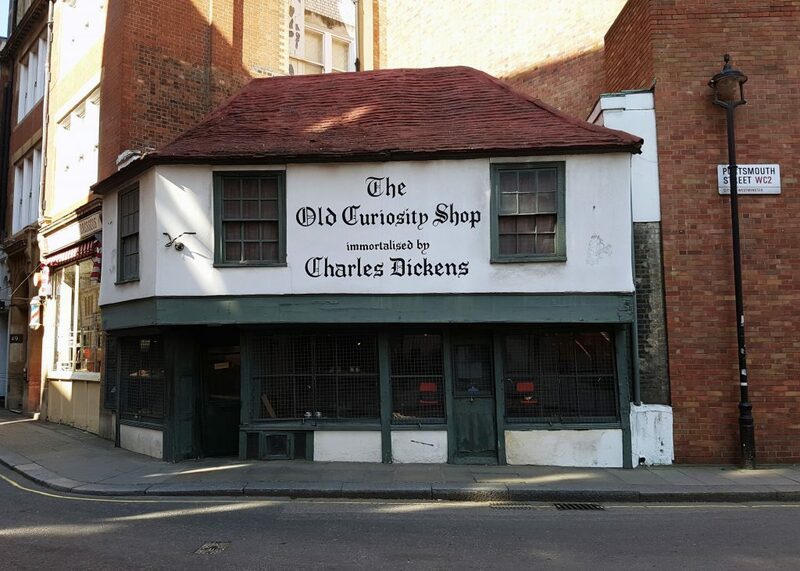 Moving away from the Fields and down Portsmouth Street is The Old Curiosity Shop. It dates back to the 1560’s and is one of the oldest shops in London. 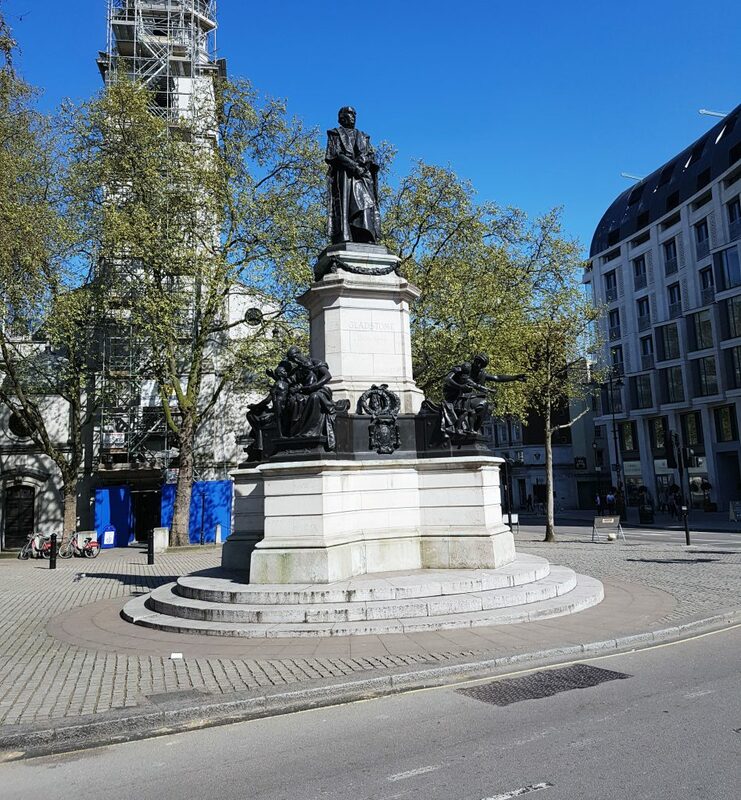 In Aldwych is the statue of William Gladstone, a four-time prime minister and Liberal Party statesmen. 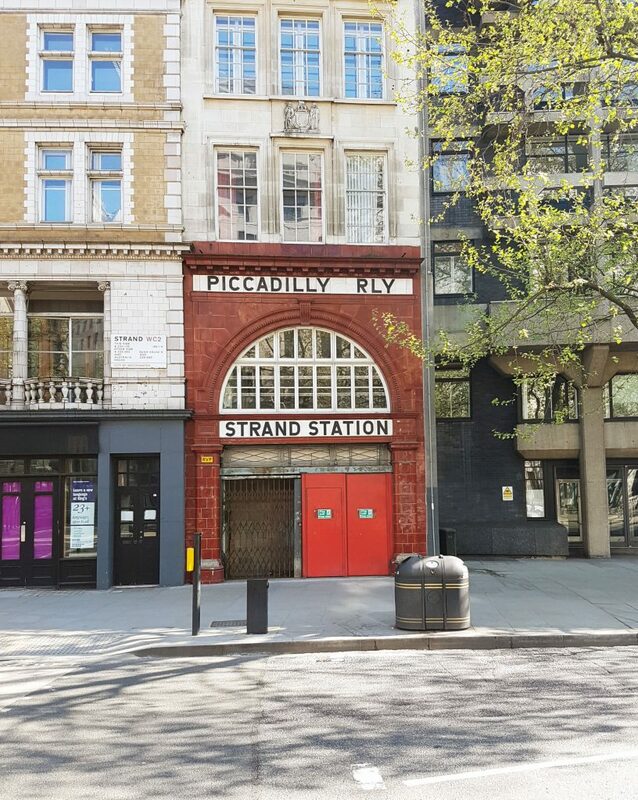 I absolutely love seeing old underground stations in amongst our modern environment. Strand station closed in 1994 after first opening in 1907. 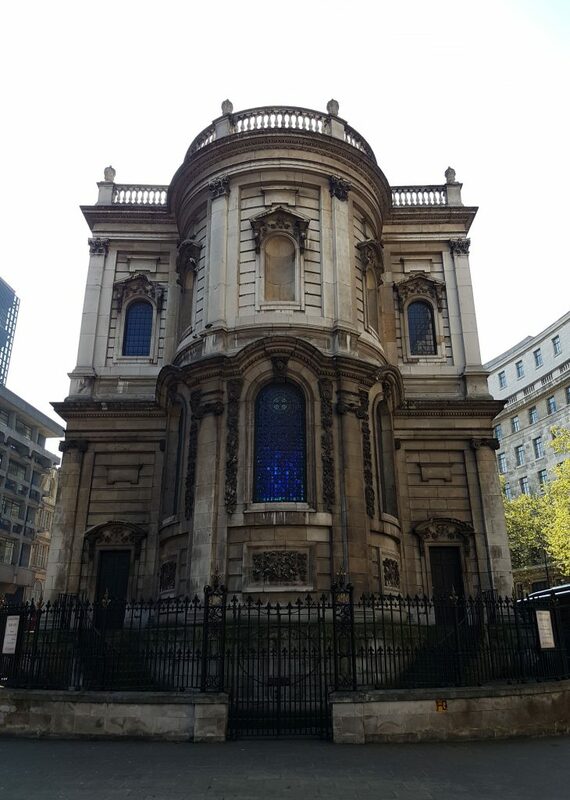 Nicknamed the island church, due to it being isolated in the middle of the road, St Clement Danes was once used by lawyers of the now defunct Clement’s Inn. As I finished the walk I saw an opening into a giant square. What is this I wondered? 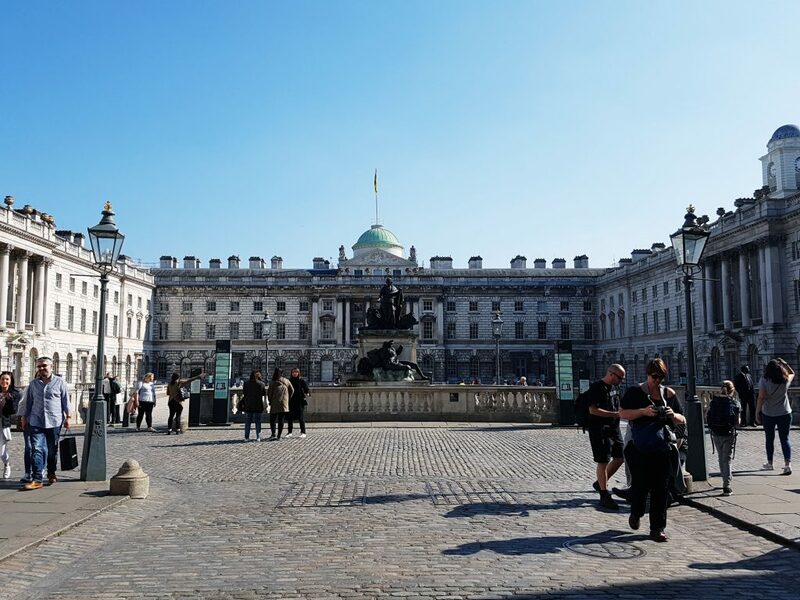 It was Somerset House. I never knew where it was and now I had come across it. One day I will go inside and hopefully write about it. That is the end of my Inns of Court’s walk. 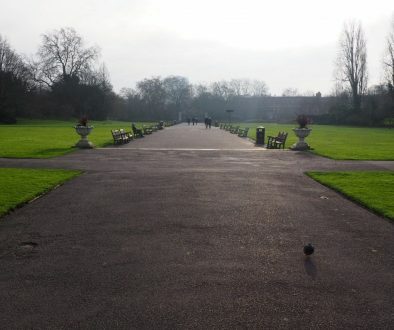 Lincoln’s Inn Fields has been a real discovery. I would definitely love to chill out there with friends in beautiful sunny weather. Along the walk were many people who were relaxing and enjoying the peace and quiet that the Inns precincts offered. 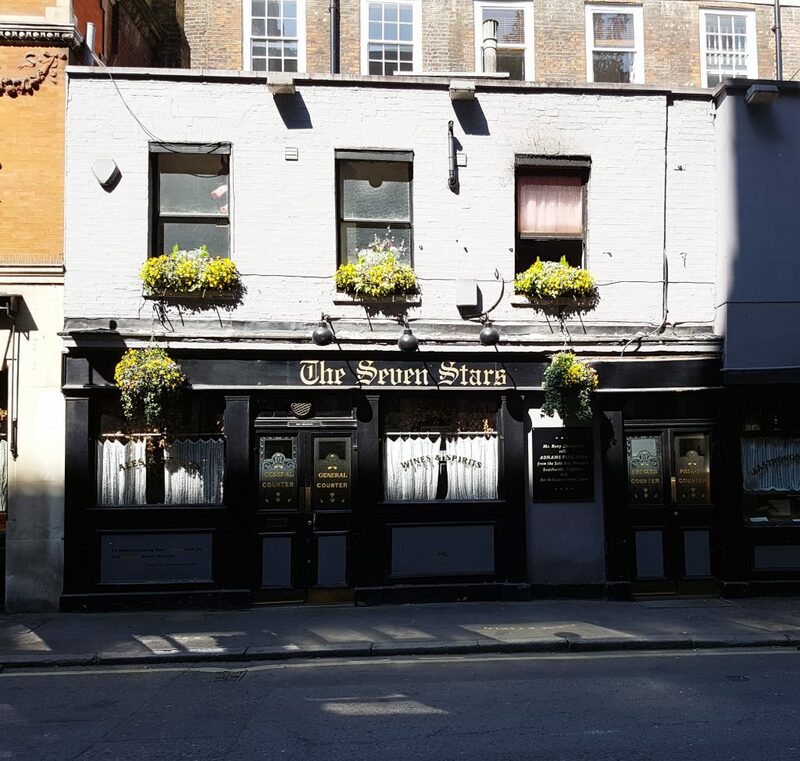 The Inns of Court’s are a perfect place for tranquility amongst the hustle and bustle of central London. 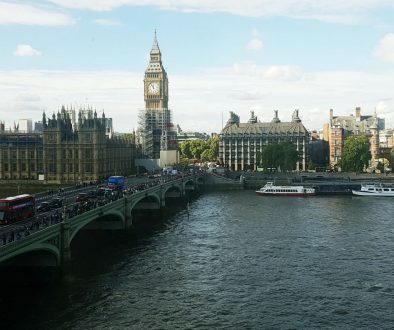 Let me know what you think of this London walk? 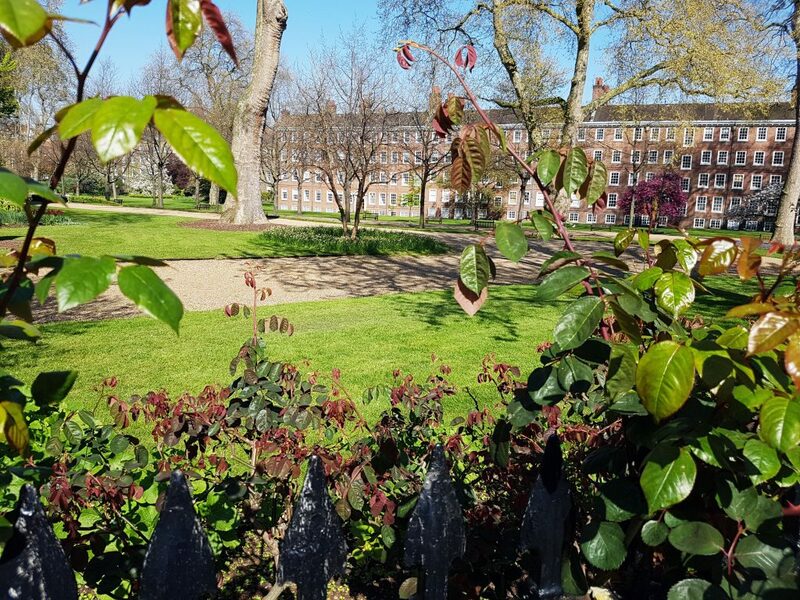 Have you been to Lincoln’s Inn Fields? 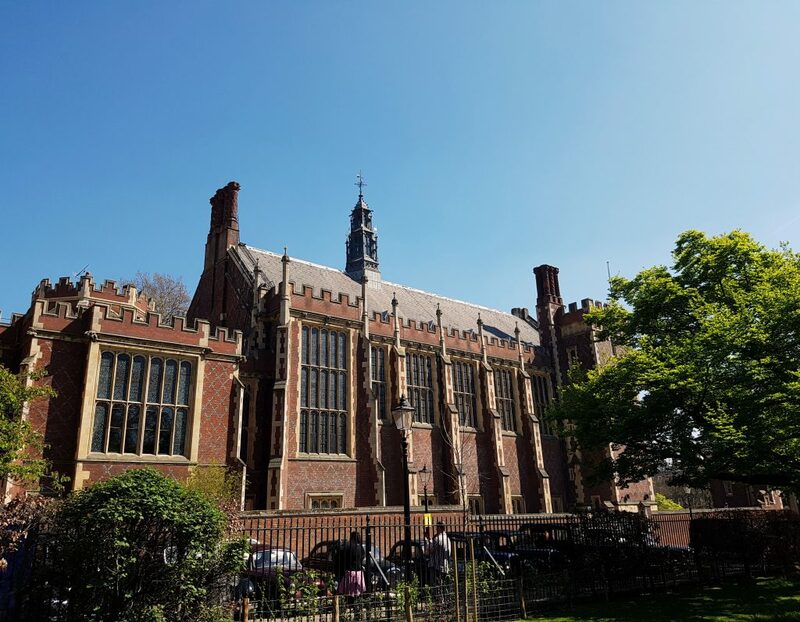 Have you taken a stroll off High Holborn to Gray’s Inn? Remember to read Inns of Courts Part 1.